Mozilla which lately criticised Facebook for abusing user data to serve ads on the social network, the same company is now set to serve sponsored content through its browser to users from the United States in Firefox 60. 1. Open the New Tab Page in the Firefox web browser. 2. Click on the settings icon (cogwheel) in the upper right corner. 3. To block advertisement, uncheck "show sponsored stories". 4. 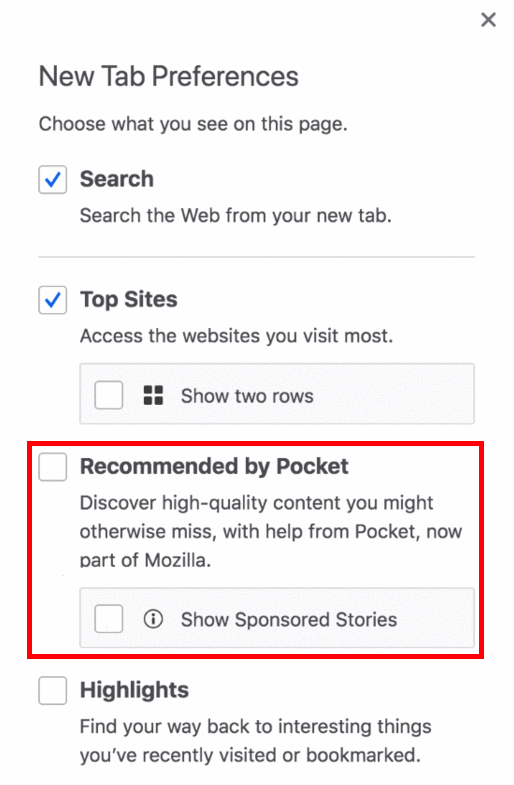 To block all recommendations, uncheck "Recommended by Pocket".